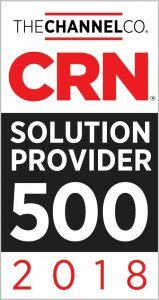 vCORE Technology Partners now ranks in the top 300 IT solution providers in North America by annual revenue, according to industry news source CRN. When it comes to building a world-class IT Solution Provider, size matters for sure – but expertise, speed, agility, and stellar support matter much more. 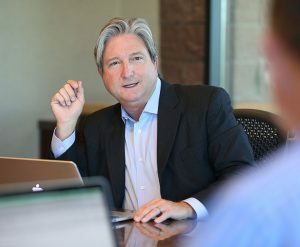 vCORE was founded to fill (what we considered to be) a void in the industry for a partner that offered deep expertise where it counts, customer support that was always on, and the agility to keep up with technology that changes at a dizzying pace – all at the light-speed required to keep our clients at the front of their respective industries. This wasn’t terribly difficult at first, when we only focused on a few technologies and solutions for a few customers in a small number of geographic areas. Eight years later, we have grown to No. 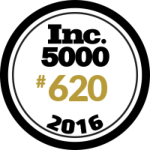 256 on the list of largest IT Solution Providers in North America (out of tens of thousands) by staying laser-focused on those core tenets. The question we ask ourselves every day is how do we stay nimble and continue to provide deep expertise and an uncommon level of support as we take on more? More technologies, more services, more geographies, more customers, more partners. Is there a point at which we are “too big” to be the same company, with the same culture, values, and client-first approach that enabled us to provide enough value to enough clients to reach this level of success and size? The truth is, I don’t think companies always know when they start to lose their way. Nobody would intentionally continue to grow if they didn’t think they could maintain what is special about their company in the first place. We haven’t figured it all out yet, but we are paranoid enough to obsess over it constantly – so for us, that is a start. Culture and fit, alongside expertise, are priorities as we build the vCORE team. We have added leaders who have grown prior organizations dramatically while maintaining company culture. We talk constantly about culture and values with all vCORE colleagues and work hard to ensure our most experienced folks model best practices at all times. We constantly survey our clients to make sure we don’t get off track. They also tell us we have thus far been able to maintain vCORE quality as we have expanded our offerings. They like that we can do a lot but they don’t want us to try to do too much. It feels like we might have reached that balance between size and agility that we think makes sense for our engineering-centric approach. vCORE is primarily known as a “capability” solution provider, as opposed to a “logistics” solution provider. Certainly we can provide excellence with integration and supply chain management, and some of the massive VARs also have good expertise in some areas while emphasizing their broad product line offerings and supply chain efficiencies. It is more a matter of where a company makes its investments and what the primary go-to-market strategy is. We have great respect for our competitors, whether they are much larger or much smaller than vCORE. It isn’t easy to adapt and grow and succeed when technology is changing so rapidly. As for us, it was never about how big we wanted to become but only about the quality we wanted to bring to our clients. All this growth has been a by-product of delivering a differentiated customer experience. We think it makes sense to be big enough to do a lot but to make a conscious effort to not try to do everything. We do plan to continue to expand our geographic reach and will certainly add more solution capability, but if the day ever comes when we have to choose between growth and quality, that choice has already been made. Quality, expertise, and support are the foundation. Additional size is optional. Want to know more about what we’re doing at vCORE and how we might be able to help your journey to what’s next? Send me an email or request a consultation here.